Our relaxed, casual work atmosphere is an attractive perk for our employees. Even though our vibe is casual, our attitude is all professional. 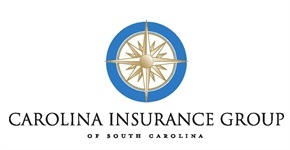 Since we cover South Carolina from the mountains to the coast, we rely on a team of independent insurance agents who really know their particular sections of the state. That specific knowledge translates into better coverage options for our clients. If you are interested in an insurance career, we may have a job opportunity for you. Contact us to let us know of your interest in our company or to submit your resume.